Or perhaps you’re already a Docker enthusiast and your super savvy microservice architecture orchestrates dozens of applications among a pile of process containers. How do thousands of containers interact with thousands of other containers efficiently over a network? What if every one of those containers could just route to one another? Canonical is pleased to introduce today an innovative solution that addresses this problem in perhaps the most elegant and efficient manner to date! 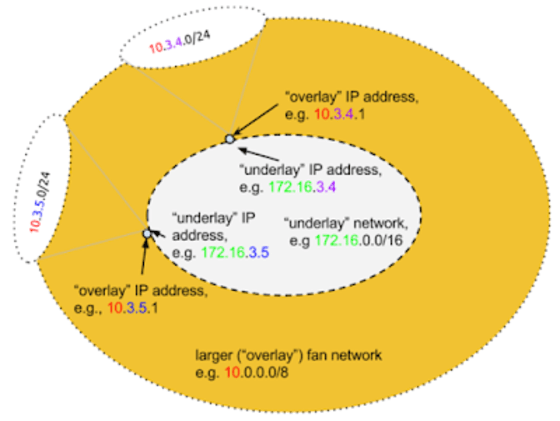 We call it “The Fan” — an extension of the network tunnel driver in the Linux kernel. 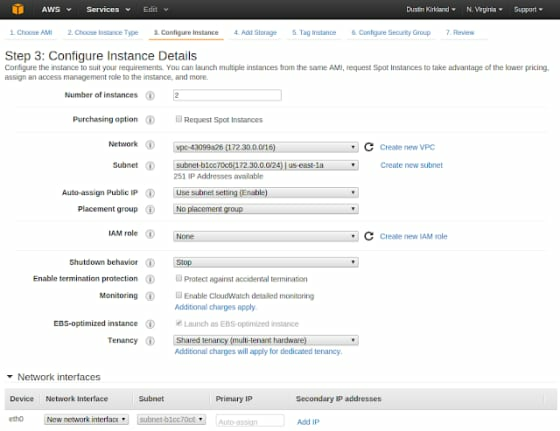 The fan was conceived by Mark Shuttleworth and John Meinel, and implemented by Jay Vosburgh and Andy Whitcroft. 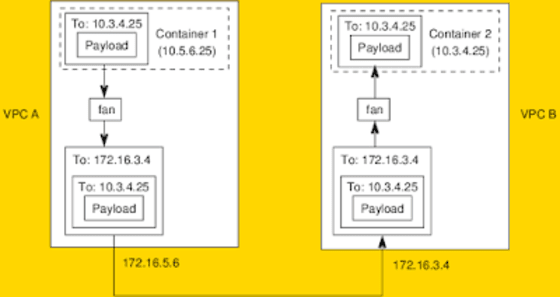 Each container host has a “fan bridge” that enables all of its containers to deterministically map network traffic to any other container on the fan network. I say “deterministically”, in that there are no distributed databases, no consensus protocols, and no more overhead than IP-IP tunneling. A more detailed technical description can be found here. Quite simply, a /16 network gets mapped on onto an unused /8 network, and container traffic is routed by the host via an IP tunnel. If that doesn’t work, you might have to adjust your security group until it does. Now, let’s create a fan bridge on each of those two instances. We can create it on the command line using the new fanctl command, or we can put it in /etc/network/interfaces.d/eth0.cfg. We’ll do the latter, so that the configuration is persistent across boots. Pay special attention to the new fan-250-0-28 device! I’ve only shown this on one of my instances, but you should check both. Now, let’s tell Docker to use that device as its default bridge. Now, let’s send some traffic back and forth! Again, we can use ping and nc. That 250.0.0.0/8 network can actually be any /8 network. It could be a 10. * network or any other /8 that you choose. I’ve chosen to use something in the reserved Class E range, 240. * – 255. * so as not to conflict with any other routable network. 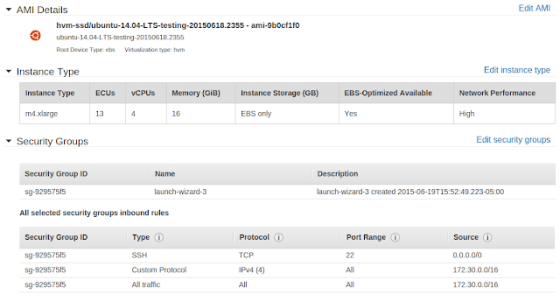 Finally, let’s test the performance a bit using iperf and Amazon’s 10gpbs instances! Give it a try and let us know what you think! We’d love to get your feedback and use cases as we work the kernel and userspace changes upstream. Over the next few weeks, you’ll see the fan patches landing in Wily, and backported to Trusty and Vivid. We are also drafting an RFC, as we think that other operating systems and the container world and the Internet at large would benefit from Fan Networking.